AMD's Ryzen will launch during GDC 2017, according to a set of notes for an AMD presentation at the upcoming Game Developer Conference (GDC). This little tidbit, which was discovered by several websites, gives Ryzen a more narrow launch window than AMD's vague "Q1 2017" statements. The most interesting line from AMD's presentation notes was as follows: "Join AMD Game Engineering team members for an introduction to the recently-launched AMD Ryzen CPU followed by advanced optimization topics." The presentation notes have since been updated to remove the words "recently-launched". Before the slight changes, AMD was saying that Ryzen will be "recently-launched" by the time they give this presentation at GDC, which suggests the line of CPUs will launch no later than the end of GDC on March 3rd. There is no firm date for when AMD will give this presentation, but GDC itself runs from February 27th to March 3rd. The most likely scenario is AMD will launch Ryzen towards the start of GDC 2017, and give this presentation later in the conference. 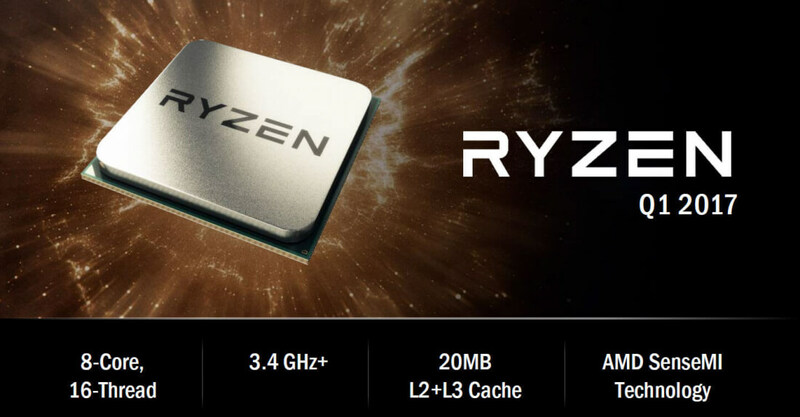 Of course, this hasn't been confirmed by AMD, and it appears as though several Ryzen details including clock speeds and launch prices may still be up in the air. The good news is PC hardware fans may only have to wait a month and a half to get their hands on Ryzen CPUs. We're eager to get these chips in our labs for testing, and see how AMD's biggest update to their CPU platform in years performs against Intel competition.